When you grow up knowing something intimately – like the Australian bush – it’s easy to forget that people in other parts of the world won’t know what you’re talking about. That’s exactly what happens to me time and time again when I talk to non-Australians about “the bush”. Australia is, after all, full of it! It’s something I often talk about, maybe because I like walking out in nature here in Australia and that’s usually either along the beach or through the bush. I also mention it pretty frequently because my dad lives in what I tend to call “the bush”, a bit over an hour south of Perth. 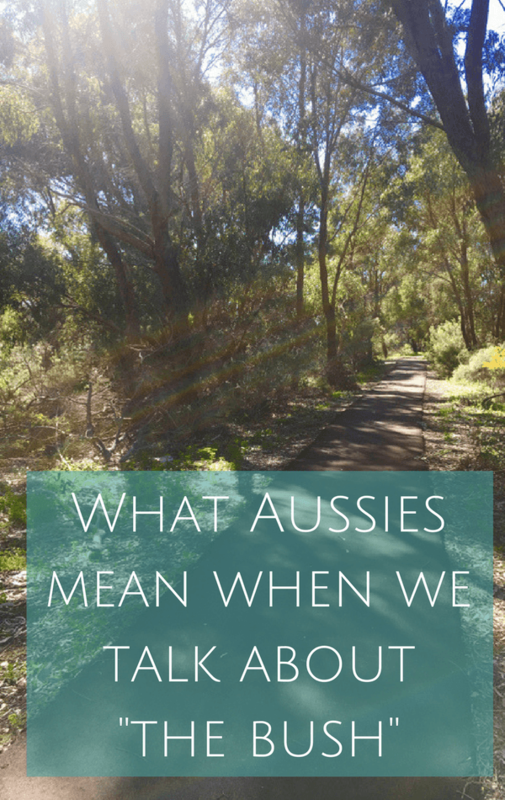 And particularly since I’ve started podcasting people from outside Australia have regularly called me on this phrase I use so casually and asked me: what on earth do I really mean by the Aussie bush?! What is “the bush” (according to Australians)? This question of “what is the Australian bush” is something that comes up a lot when I chat to people from other countries. And the thing about the bush is that it’s more than just some kind of geographic definition – it also evokes a particular feeling. I wondered for a while if that was just me, since I’m prone to being highly sentimental about these kinds of things, but when I asked around, I discovered that lots of Australians have a kind of emotional attachment to the bush, even though the vast majority of us live in the suburbs of coastal cities. What does bush mean in Australia? To me, the bush is the natural environment, uncultivated and largely untouched by human intervention. An area with trees, smaller bushes and indigenous plants and some remaining original animals e.g. emus and kangaroos and other smaller marsupials. The bush is often part of a National Park and is not populated with camping and caravan parks etc. And what would a set of questions directed at Australians be without our obligatory humour? There’s so much to love about a walk through the bush in Australia and I can’t pin it down to just one reason. The smell of the bush is something I want to bottle – a combination of eucalyptus trees and other plants, and it’s so fresh and cheerful. The sounds are great – native Aussie birdlife don’t have the amazing singing abilities of the birds I remember from Europe, but they still sound great and listening to a kookaburra laugh makes me smile every time. And just the feeling of being out in nature – even if I know there is a row of houses just a couple of hundred metres away – makes me feel happy and grateful every time. It’s not hard for visitors to Australia to get some experience of the bush, even if your trip is confined to large cities. Bush is everywhere. In my suburb in northern Perth, I can walk to three separate areas of bush within five minutes, in different directions. 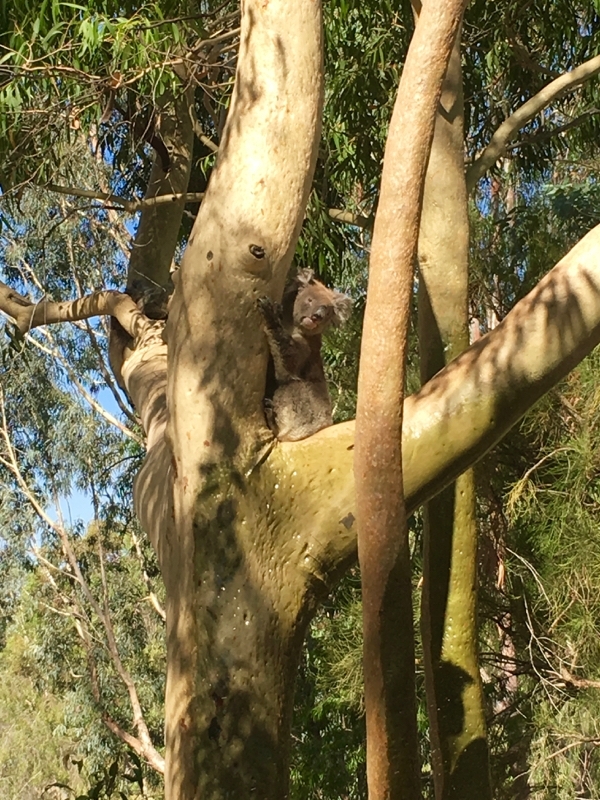 Granted, my suburb is particularly green – not too old that it’s been redeveloped heavily, and not too new that it’s been built more densely – but it’s still easy to find patches of bush all around Australian cities. Just look for largish green patches on maps and you’ll probably find some! 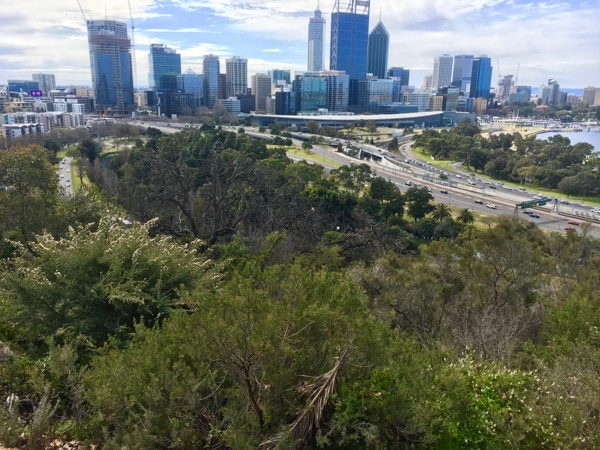 We even have plenty of bushland right in the centre of Perth in our gorgeous Kings Park. Heading to national parks is a pretty certain way to get out “in the bush”, and throughout Australia there are some amazing bushwalking trails if you enjoy a hike. 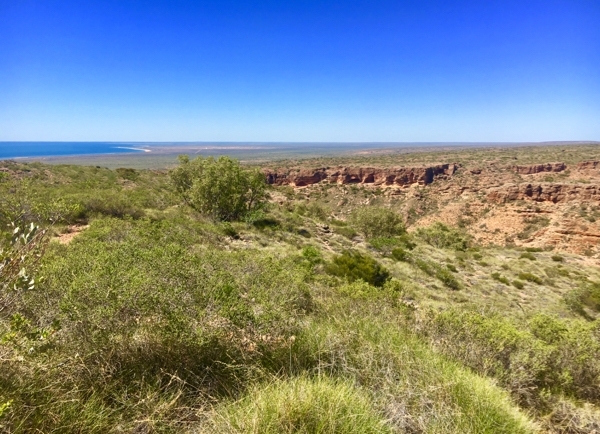 Here in Western Australia, the Bibbulmun Track is a great example of this, running for over 1,000 km – but fortunately with lots of easy access so you can just walk shorter parts of it, or even just do a day walk near Perth. 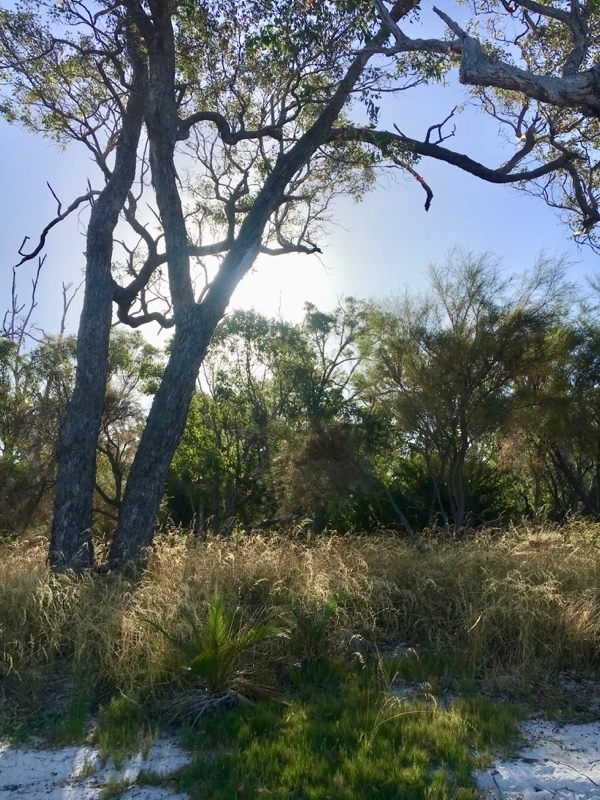 It would be remiss of me not to mention that going for long bush walks does need a bit of preparation, though, especially in terms of taking water and wearing a hat and sunscreen (the sun really does burn fast down here – thanks to that pesky ozone hole). And while I’ve very rarely seen one myself, my father always taught me to stick to trodden paths and stomp my feet pretty decently as I walk in the bush, because the vibrations through the ground will scare off snakes. The bush is so important to we Aussies that until recently the Australian government even had a page on the Australian bush, explaining how iconic it is and how it’s featured in art and literature over the years (sadly that page has disappeared!). Suffice to say, we Aussies love our bush and we’d love everyone else to come and see it for themselves. Just not too many at once, because we’re not used to crowds down here. Enjoy! Thanks Rae. And yes – aren’t we lucky to have something as magical as Kings Park right in the middle of the city? Harsh and remote are definitely a part of it – I like the urban bush but there’s something extra special about it when it’s way out of town. But yes, you definitely have to have respect for it. Glad you enjoyed the post! Nice post! You are right, “bush” is such an Aussie term, and it is more than just trees. We do all have an emotional attachment to it. I hadn’t really thought about it before. Thanks Josie! It really is a special place. I’m so lucky to live ‘in the bush’ – in a town 270 kms south of Perth. 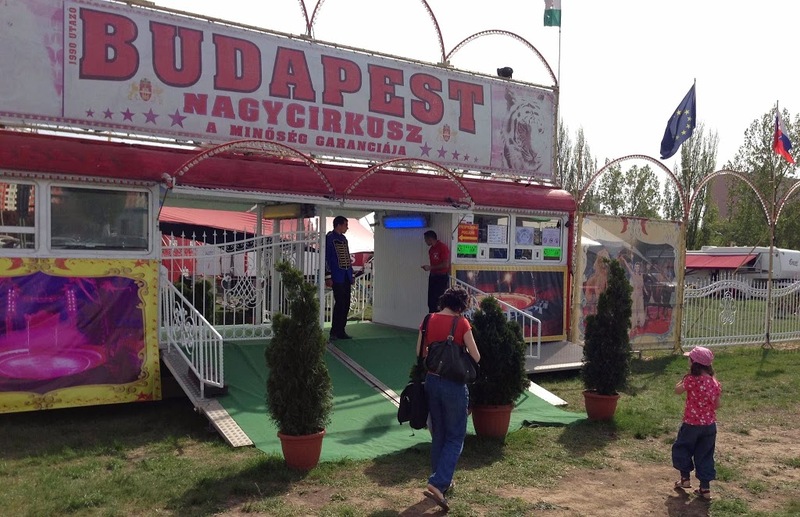 It’s a town of about 2500 people, doesn’t have all the facilities of bigger cities and I love it. Whichever way we travel we pass through glorious natural bushland with the shadows of the tall trees making incredible patterns on the road as the sun shines through them. As with many small towns, we have access to many walking trails through natural bushland and like you I’m always stamping my feet as snakes are not a favourite of mine. !